Cornelis Hubertus de Bever was born in Vught on March the 26th of 1897. 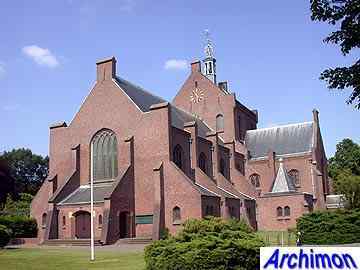 He was the son of a carpenter and was educated at a school for arts and crafts in 's-Hertogenbosch. After finishing his school, he worked for architect W.G. Welsing for some time. In 1921 he worked as a draughtsman for architect L.J.P. Kooken in Eindhoven. He married one of Kooken's daughters in 1929 and replaced him as head of the office in 1933. When Kooken died in 1940, De Bever continued the former Kooken en De Bever office under his own name. 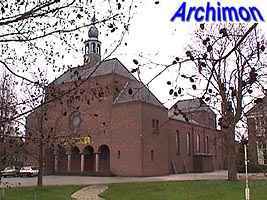 De Bever died in Eindhoven on January the 9th of 1965. His office was successfully continued by his sons and is today led by one of his grandsons. 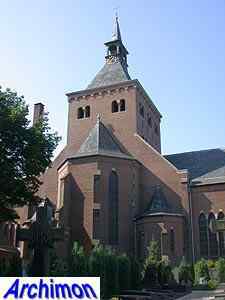 Most of De Bever's work is in Traditionalist style, built mostly of brick and often of a christocentric type. Churches are only a portion of his work; he also designed schools, houses, offices etc.. He worked mainly in Noord-Brabant. Below is a list of his religious work only. 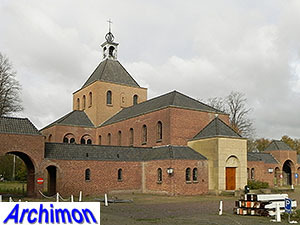 Christocentric church in Traditionalist style, with T-shaped main space and a baptistry and tower at the front and a higher choir at the back. 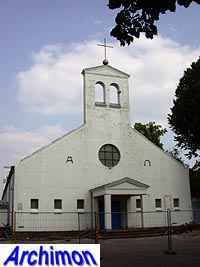 De Bever designed a church in Traditionalistic style which was to replace an early Neo-Gothic church. World War Two prevented the fullfilment of this plan. Only the choir, transept and crossing-tower were built. Addition of a tower to an older church. 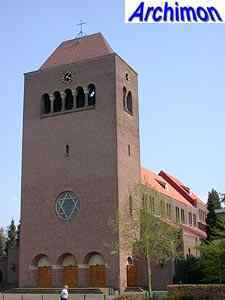 The same church was extended with side-aisles by Kooken and De Bever in 1931-1932. Cruciform christocentric basilica in a Traditionalist style with Gothic influences. Big square crossing tower. A 44-meter tall frontal tower was planned but never build. Chapel in the shape of a short tower. 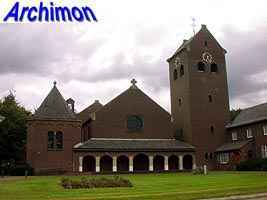 Church in traditionalistic style, with front shaped like a westwork. Small chapel in Traditionalist style. Chapel in Traditionalist style, with large square crossing-tower. De Bever designed the entire complex in conjunction with C.M. van Moorsel. Three-aisled basilica in in Traditionalist style. Church in simple Traditionalist style. Demolished in 2005. 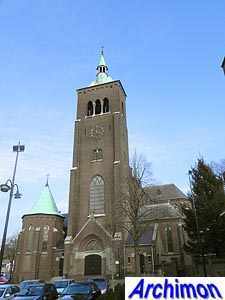 Large church in a Traditionalist style with T-shaped ground plan, cylindrical tower and large square crossing tower. 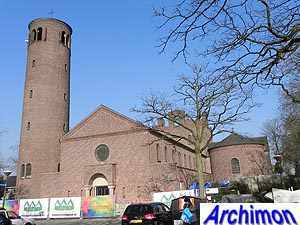 Large church in a Traditionalist style with T-shaped ground plan, polygonal tower and large square crossing tower. 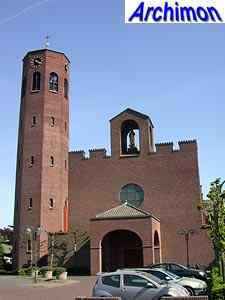 Tower in Traditionalist style for an older church. Designed in conjunction with C. Evers. Chapel of a home for the elderly.